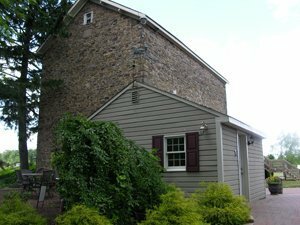 Located in the heart of historic Bucks County, PA and situated on a subdivision of land originally deeded by William Penn to his daughters, Rose Bank Winery is an estate consisting of a manor house and several outbuildings. 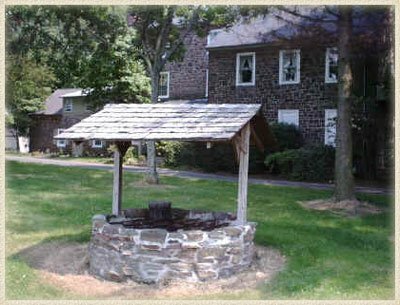 The manor house, circa 1719, was constructed of dressed stone and is one of the only 25 built in Bucks County. A carriage house was added in 1720. The property was deeded to Jacob Buckman in 1832, and three years later he built the barn. 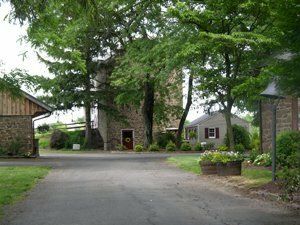 Rose Bank Winery, then called In & Out Winery, was purchased by the Fleming Family in 2001. Dave Fleming, Sr. restored the name Rose Bank to the property, built a new tasting room and wine making facility, now called the Vintner’s Ballroom & Loft. In 2012, the Flemings built the Rose Ballroom as a venue for weddings and larger parties. Below the ballroom is now the site of the winery’s production line and lab. Rose Bank Winery wines are produced and bottled right here in Newtown, PA. The Fleming family invites you to visit and enjoy Rose Bank Winery’s delicious wines as well as its beautiful, unique and historic surroundings.